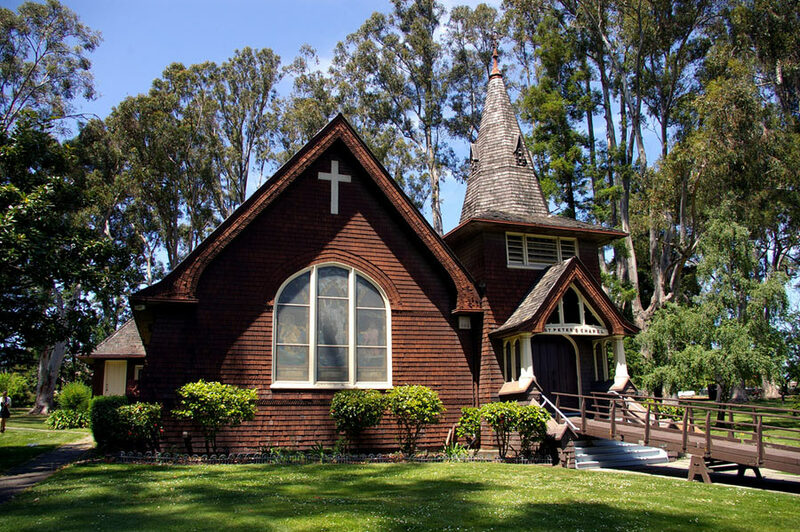 Set in its own grassy park within a eucalyptus grove, St. Peter’s is a picturesque interdenominational chapel. 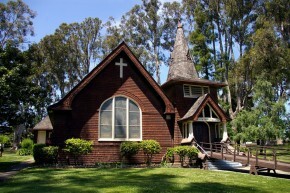 Built in 1901 under the guidance of Chaplain Adam McAlister, it’s the oldest naval chapel in the United States. A classic example of Victorian Gothic architecture with its tidy brown shingle, cream-colored trim, steep pitched roof and a soaring octagonal spire, it has charm and history inside and out. 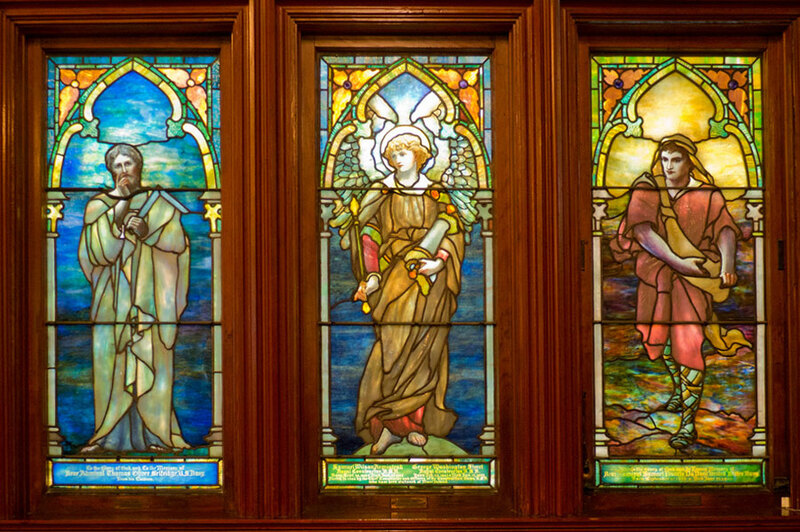 One of the largest collections of Tiffany glass under one roof is represented by the Chapel’s 29 exquisite stained-glass windows, which fill the intimate interior with a soft rosy light. 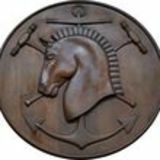 The windows were installed over a twenty-five year period (1905-30) to honor individuals and groups such as the “Women of the Navy and Marines.” There is a window dedicated to McAlister and one depicts Sir Galahad, which, when illuminated, becomes the ultimate knight in shining armor. 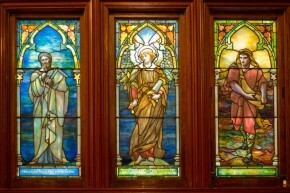 Twenty-five of the windows are known to be from the Tiffany Studios, one (dedicated to “Women of the Navy and Marine Corps”) by the Cummings Studios of San Francisco, and three (the Triptych facing Walnut Avenue) from Ingerson and Glaser of San Francisco. Rich wood paneling complements the creamy plaster walls, and open redwood beams accentuate the vaulted ceiling. The chapel also displays a collection of memorial tablets, dating back as far as the War of 1812. Some are set into the ceiling and others hang on the walls, making intriguing reading. The organ, originally installed in 1901, was replaced in 1929, and updated in 1966 with the addition of a new console and pipes. 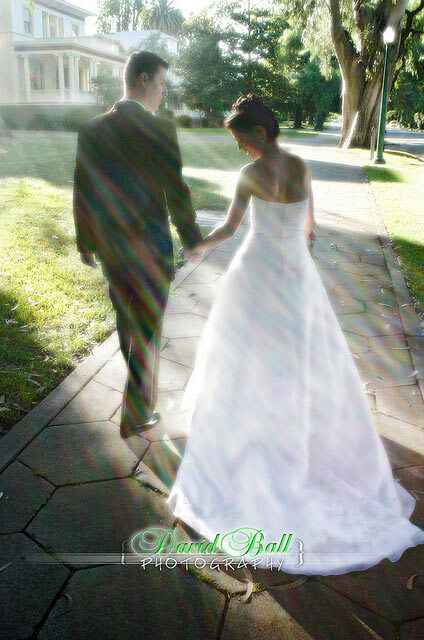 The lovely setting is perfect for formal photos and its only a short trip back down Walnut Avenue to Officers Row for a festive reception. 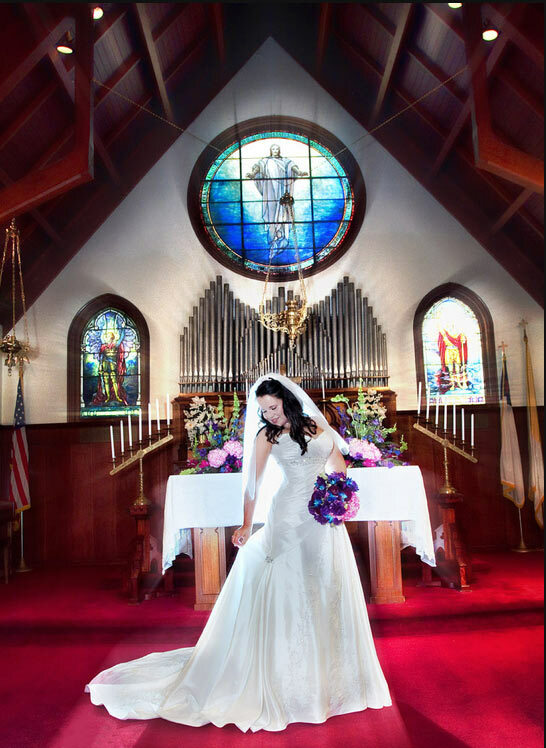 The Chapel is available for weddings, memorials, funerals, baptisms and other events. 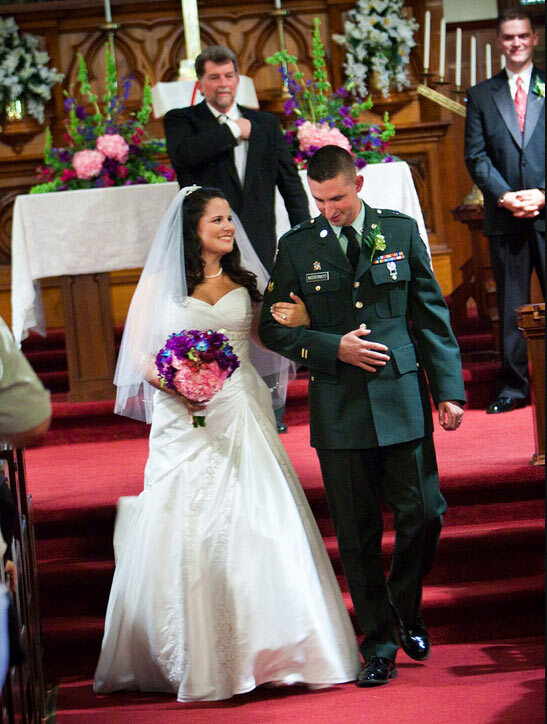 There is fee of $700 required for Weddings, which includes a one hour prior-day rehearsal. Shorter events can be accommodated Monday through Friday only. For further details, contact Joyce Giles at 707.557.4646. 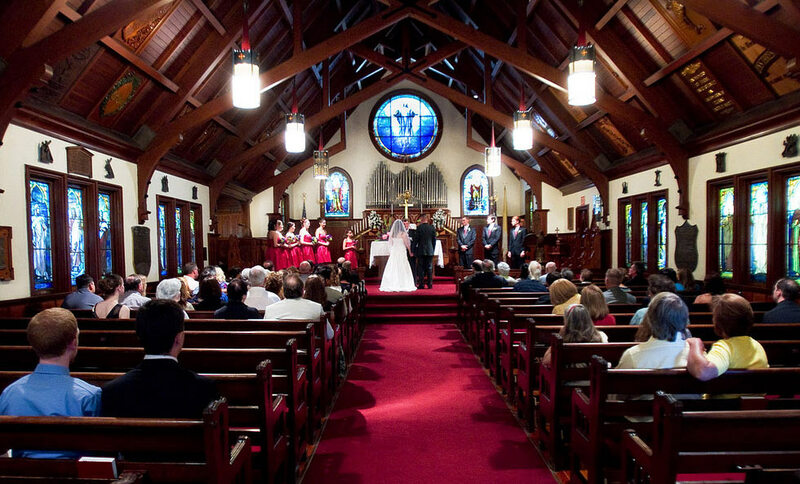 Capacity: 174, seated; 200 with wedding party on platform or other performers, such as a choral group or musicians. Each Christmas since 1996 the Foundation has presented a concert and sing-along at the Chapel; details are announced through the Museum Web site, well in advance of the event.